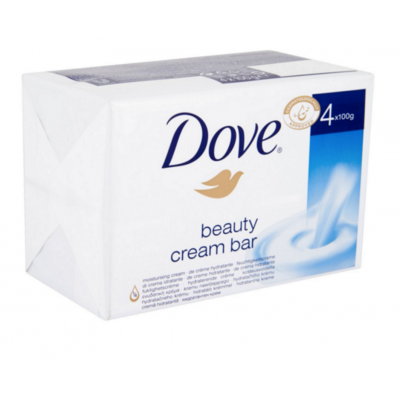 The Dove Beauty Cream Soap Bar is a caring cleanser that can be used on your hands, body or face. Unlike regular soaps, Dove's beauty bars contain 1/4 moisturizing cream to deeply nourish and hydrate your skin whilst cleansing it to give you smoother, softer and healthier skin. This pack of Dove Beauty Cream Soap Bars contains four 100g Original Beauty Cream Bars so you can designate one for your face, pop one in the shower and use another as a hand wash.